Accurate diagnosis and treatment planning are the backbone of any medical therapy; for this reason, cone beam computed tomography (CBCT) was introduced and has been widely used. CBCT technology provides a three-dimensional image viewing, enabling exact location and extent of lesions or any anatomical region. For the very same reason, CBCT can not only be used for surgical fields but also for fields such as endodontics, prosthodontics, and orthodontics for appropriate treatment planning and effective dental care. The aim and clinical significance of this review are to update dental clinicians on the CBCT applications in each dental specialty for an appropriate diagnosis and more predictable treatment. Aims and Objectives: This study assessed the knowledge, attitude and consumption of sugar-sweetened beverages (SSBs) and its association with body mass index (BMI) among undergraduate oral health students. Materials and Methods: A cross-sectional design was used and the study was conducted at a South African dental university. Undergraduate dental and oral hygiene students (n = 344) registered in 2015 were invited to participate. A self-administered questionnaire was used to elicit the necessary information. Data analysis included frequencies and correlations using Chi-square tests. Statistical significance was set at P < 0.05. Results: The response rate was 88% (301) and the mean age was 22.3 years (range: 17–42; standard deviation ±3.2). The majority were female (72%) and 70% of respondents had an acceptable level of knowledge on the types of SSBs and possible health conditions if consumed excessively. Almost half (46%) had a positive attitude toward the consumption of SSBs. Clinical students had a significantly higher level of knowledge compared to nonclinical students (P = 0.03). Participants consumed an average of six teaspoons (±9.5) of sugar from SSBs daily. Those with poor knowledge and attitude consumed significantly more SSBs (P < 0.01) than those with higher levels of knowledge and attitude. Males were significantly more obese and overweight than females (P < 0.01). There was no association between the amount of sugar consumed from SSBs and the BMI. Conclusions: The knowledge and attitude toward SSBs was acceptable. Although sugar consumption from SSBs was relatively high, there was no significant correlation between the consumption of SSBs and the BMI. Aim and Objective: This survey investigated bonding system type and composite application rationale by senior dental students at a dental school in Saudi Arabia. Materials and Methods: Eighty-three questionnaires with 15 open and closed questions were randomly distributed to final year dental students about the use of etch and rinse versus self-etch adhesives and application techniques for posterior resin composite. Data were collected, and statistical analysis was done using Chi-square test (0.05) with two factors “question answer” and “gender.” Results: For all questions, the impact of gender was statistically nonsignificant (P > 0.05). Etch and rinse adhesive was significantly (P > 0.05) favored by students with majority do not perform selective etching, use intermittent air for drying tooth structure, apply a single layer bonding agent and thin it by air, cure it for 20 s with the curing tip at close proximity to the cavity, use incremental application technique for composite restorations, cure it for 40 s, and neglect to do extra curing. Conclusion: Students showed good knowledge regarding the bonding and composite application steps but with some clear mispractices such as low frequency of selective etching, less etchant washing, and the preference of vertical layering. Moreover, results from the current investigation should direct curricular updates in the future. Objectives: The purpose of this study was to assess the oral health status of children with cerebral palsy (CP) in Dubai, United Arab Emirates (UAE). Materials and Methods: Eighty-four CP and 125 healthy children were recruited from special needs centers and private/public schools in Dubai. A dental examination for decayed-missing-filled teeth in primary dentition (dmft)/Decayed-Missing-Filled teeth in permanent dentition (DMFT) indices, simplified oral hygiene index, calculus index (CI), and oral debris index was conducted. In addition, assessments of occlusal, dentofacial, soft tissue anomalies and erosion were conducted. Statistical analysis was conducted using SPSS for Windows, version 20.0 (SPSS Inc., Chicago, IL, USA). Results: DMFT/dmft scores were comparable in both groups. CI was significantly higher among children with CP. 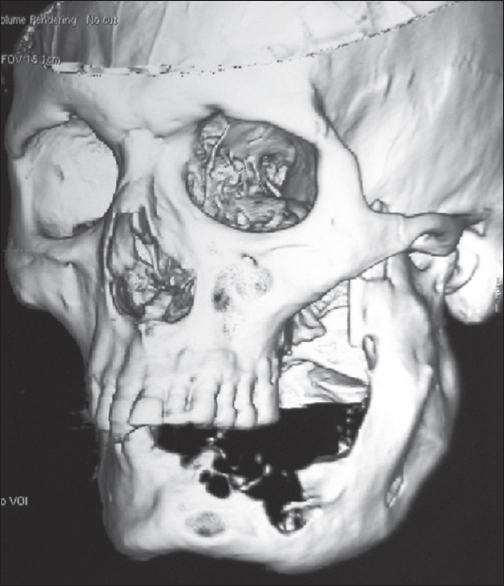 CP patients had a significantly higher proportion of anterior open bite, anterior spacing, Class II molar Angle malocclusion, trauma, high-arched palate, tongue thrust, lymphadenopathy, angular cheilitis, macroglossia, drooling, and erosion as compared to controls. Conclusions: The study highlighted peculiar characteristics and needs for the CP patients in Dubai, UAE. Objectives: It is hypothesized that carcinoma-ex-pleomorphic adenoma (Ca-ex-PA) is malignant from the beginning or is a malignant transformation of a recurrent or a long-standing pleomorphic adenoma (PA). The accumulation of genetic instabilities is suggested to be the main reason for malignant transformation in PA. The aim of this study was to determine the prevalence of BRCA1/2 mutations in PA and Ca-ex-PA. Materials and Methods: A total of ninety salivary gland tumors (45 Ca ex-PA and 45 PA) were selected. Immunohistochemistry was performed for all samples. Analyses were conducted through SPSS software version 22.0 (SPSS, Inc., Chicago, IL, USA). Chi-square test was used to examine the differences between the variables. Significant level was set at 0.05. 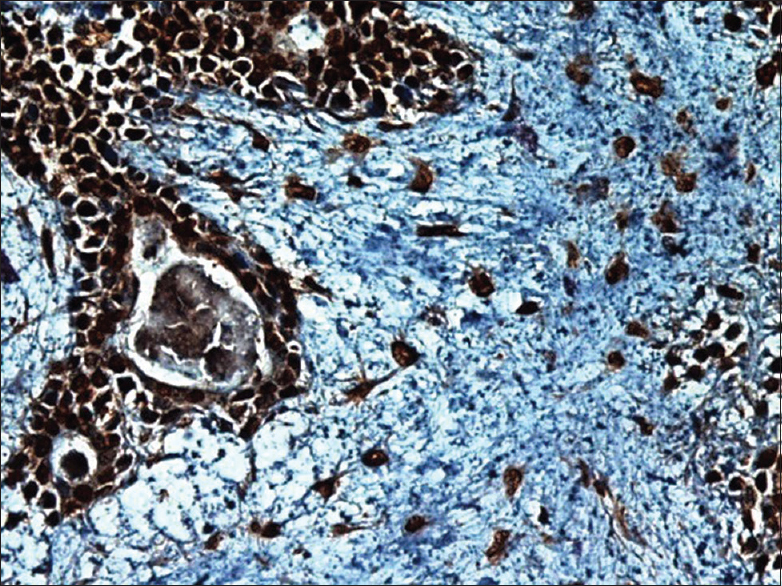 Results: In general, 93.3% of PA samples showed positive staining for BRCA1 (in myoepithelial cells); however, BRCA2 positivity was found in 60% of samples (in myoepithelial cells). 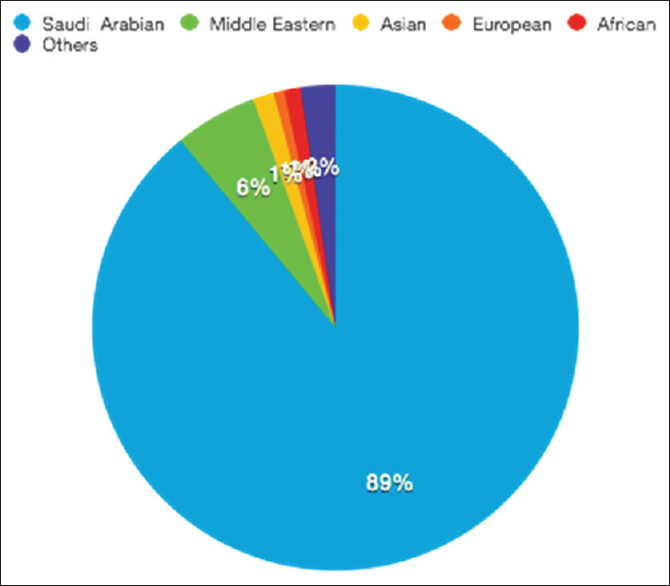 Among 45 samples of Ca-ex-PA, 93.3% of showed positivity for BRCA1 and 80% of samples showed positivity for BRCA2. Chi-square test found differences between PAs and Ca-ex-PAs regarding BRCA1/2 mutations in ductal cells and myoepithelial cells (P = 0.007, 0.000), respectively. Conclusions: The present study found a trend toward the presence of BRCA1/2 mutations in PA and Ca-ex-PA samples. Patients with BRCA1/2 mutation carriers are excellent cases for therapies, such as the poly (ADP) ribose polymerase inhibitor. Aims and Objectives: The lack of information among the population regarding the existence of oral squamous cell carcinoma (OSCC) and the lack of attention and expertise in examining the oral cavity of dentists and clinicians still remain very worrying and could explain the high incidence of OSCC. The aim of this study is to evaluate the level of awareness of OSCC among 600 participants from Southern Italy. Materials and Methods: A 13-question survey was prepared and distributed to 600 participants divided into two subgroups, the first one of 300 patients referring to the Department of Neuroscience, Reproductive, and Odontostomatological Sciences, University Federico II of Naples, for the treatment of dental pathologies, and the second one of 300 patients referring to the Department of Internal Medicine of the Second University of Naples for the diagnosis and treatment of cardiovascular diseases. Statistical analysis consisted in the calculation of percentages related to the answers given by patients. Comparison of percentages was after performed between the two subgroups. Result: Only 175 participants (29.1%) knew about the existence of pathologies which can affect the oral mucosa, and only 46 (7.6%) were aware that carcinoma can arise in the oral cavity; 345 (57,5%) stated that they had periodical dental visits, at least once a year but none of them stated they had a visit for the identification of oral carcinomas. 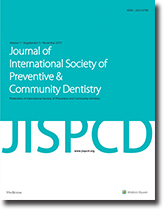 Conclusion: The data acquired must be taken into consideration to outline essential socio-healthcare educational projects on carcinoma and its risk factors, training programs to increase dentists and clinicians' competences, and to evaluate the feasibility and effectiveness of oral carcinoma screening programs. Aims and Objectives: The aims and objectives of this study were to determine if an association exists between mothers work status and her children's incidence of bruxism and habits related to bruxism. Materials and Methods: A cross-sectional study was conducted through data collection of a questionnaire answered by 561 mothers' about their working status and their child's habits and behaviors. The survey consisted of 5 parts with a total of 34 questions: mother's information, child's behavior, child's sleeping pattern, mother's knowledge about bruxism, and child's medical history. Odds ratios, Chi-square, and their corresponding 95% confidence intervals are reported. Statistical significance was set at P ≤ 0.05. Results: The work status of the mother was not statistically significant in increasing the incidence of a child to have bruxism. However, this study clearly elucidates that 7 of the 15 habits correlate significantly with a status of bruxism. According to this sample, a child, that is, reported to be aggressive is more than twice as likely to have nocturnal bruxism. Likewise, any child that bites their nails, complains of headaches, drools in their sleep, snores, complains of muscle cramps, and colic is more than twice as likely to be a nocturnal bruxer than a child that does not have these habits. Conclusion: The prevalence of children's bruxism in this convenient sample was 34.5% (n = 141). The concerning habits related to bruxism can serve the pediatric dentist, general dentist, general practitioner, and primary care provider of children having these red flags as indicators of bruxism. It is imperative that parents of these children be made aware these habits that may occur together, alone or even simultaneously with bruxism. Aims and Objectives: Faculty members of dental institutions are being asked to assume new academic duties for which they have received no formal training. To succeed in new teaching tasks, faculty development through assessment of teaching skills is essential. Materials and Methods: A Self-Assessment Questionnaire consisting 18 closed-ended questions was sent to various faculty members of dental colleges of Karnataka. A total of 210 faculty members volunteered to participate in the study. The response rate was 69.8%. Data gathered were statistically analyzed using SPSS software version 16, Chi-square test, and descriptive statistics. Results: In the present study, 27.3% of participants were unaware of andragogy, 33.3% were unaware of teachers development programs, 44.6% do not obtain student feedback after teaching, 52.6% were unaware of peer review of teaching skills, and 50% were unaware of interprofessional education initiatives. Conclusion: By incorporating teaching and learning skills, dental faculty could acquire competencies and academic credentials to become valuable contributors to the institution. This study emphasizes the areas of improvement in dental school learning environment, based on activation of prior knowledge, elaboration of new learning, learning in context, transfer of learning, and organization of knowledge toward learning. Aims and Objectives: To assess the early effect of oral health education on oral health knowledge of primary and intermediate school students of private schools by utilizing pre/post questionnaires data from oral health educational projects in Riyadh city, Saudi Arabia. Second, to examine topic-specific knowledge differences between genders, nationalities, and educational levels of the students. Materials and Methods: Cross-sectional oral health educational data of private school students (n = 1279) in primary and intermediate levels were extracted from the King Salman Centre for Children's Health (KSCCH) projects undertaken by Riyadh Colleges of Dentistry and Pharmacy. Student's pre- and post-test data were analyzed for changes in oral health knowledge. Overall knowledge score and topic-specific knowledge scores were calculated and the differences between gender, nationality, and educational level were examined using Mann–Whitney U-test. Pre/post change in the oral health knowledge was evaluated by Wilcoxon's sign rank test. Results: Immediately, after oral health educational session high knowledge score category showed an increase of 25.6%, medium and low knowledge score categories showed −3.2% and −22.3% decrease, and this change was statistically significant (P < 0.001). Comparison of correct responses between pre- and post-test showed statistically significant (P < 0.05) increase in all the questions except for the timing of tooth brushing. Females, non-Saudi nationals and students in primary level of education showed significantly high mean knowledge (P < 0.001) at posttest assessment. 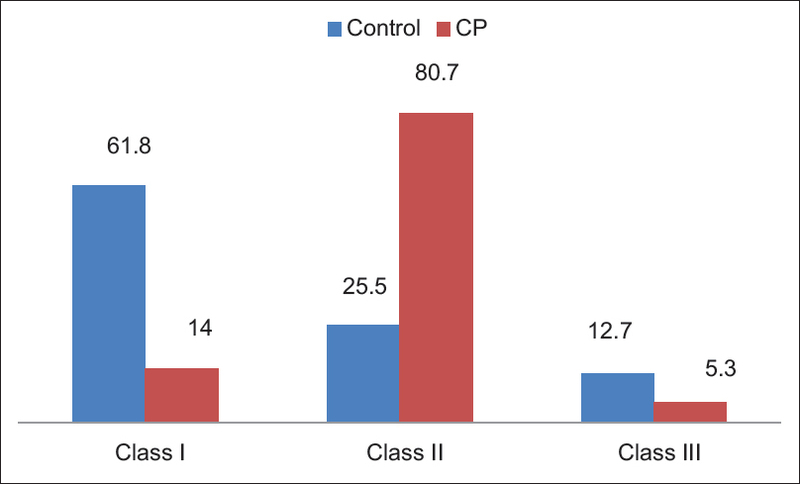 Conclusion: Primary and intermediate private school student's overall, and topic-specific oral health knowledge improved immediately after educational intervention provided by KSCCH. High knowledge gain was observed among female non-Saudi primary school students.